(RxWiki News) Falls can happen in the blink of an eye, and they can completely change your future. But you can take steps to prevent medication-related falls. Each year, 3 million older people in the US are treated in emergency departments for injuries related to a fall. Some of these injuries include head injuries and broken bones, such as wrist, arm, ankle and hip fractures. Some medications have side effects that may put you more at risk for a fall. If you take any of the medications discussed below, talk to your pharmacist. If you are experiencing dizziness, confusion or drowsiness with your medication, talk to your pharmacist or doctor. 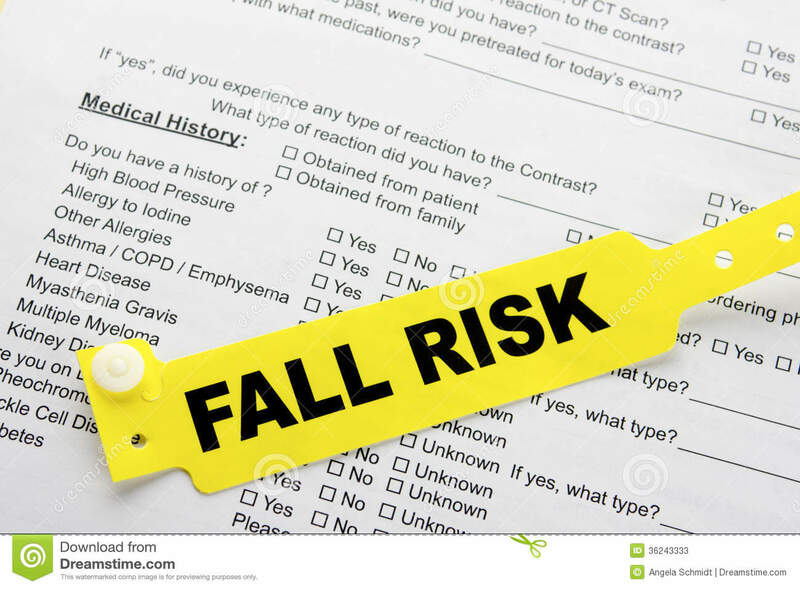 1) Ask your health care provider about your risk for falls. 2) Make a list of the medications you take. This includes all prescription, over-the-counter, and herbal medications and nutritional supplements. Your health care provider will discuss your medications and determine whether their effects and interactions may increase your risk of falling. Your doctor may decide to discontinue a medication or switch your medication to another that has a lower risk. If you do continue to take a medication that may increase your risk for falls, knowing which medications can put you at risk is the first step toward preventing falls. You can take additional steps to reduce your risk. For example, some medications can drop your blood pressure when you stand up from sitting or lying down. This sudden drop in pressure can cause you to become extremely dizzy or even faint. You may be able to reduce the dizziness and lightheadedness that can happen when taking this type of medication by moving slowly from a lying to standing position. Furthermore, when getting out of bed, try to sit on the edge of your bed for a minute before standing. Diabetes medications cause low blood sugar: insulin, glipizide and glyburide. Heart medications can cause low blood pressure that happens when you stand up from sitting or lying down, as well as dizziness: metoprolol, propranolol, carvedilol, prazosin, amlodipine and verapamil. Diuretics, or “water pills,” can cause low blood pressure that happens when you stand up from sitting or lying down, as well as dizziness: hydrochlorothiazide, furosemide and spironolactone. Psychotropic medications (to treat psychosis, anxiety or depression) can cause slow movement, drowsiness, dizziness and confusion: alprazolam, lorazepam, zolpidem, quetiapine, trazodone, amitriptyline and fluoxetine. Pain medications can cause drowsiness and confusion: morphine, hydrocodone and tramadol. Medications used to treat seizures can cause slow movement, drowsiness and confusion: carbamazepine and phenytoin. Medications used to treat overactive bladder can lead to drowsiness and confusion: tolterodine and oxybutynin. Some allergy medications can cause drowsiness and confusion: diphenhydramine. Speak with your health care provider about ways to reduce your risk for falls.